There was a time when Lebanon’s internet gave us more trouble than its intended purpose to make our lives easier, but would you believe me if I told you that the age of unlimited internet packages in Lebanon might be nearing? Unlike Al Akhbar, who seem to be rather depressed by the notion that Lebanon’s Telecom services may end up cheaper to the consumer, the sector could actually be in to an overhaul that it hasn’t seen since Gebran Bassil reduced prices back in 2008. And this makes me very, very excited, and I think you should be excited too. Our government is convening as we speak to discuss current minster Boutros Harb’s proposal of trying to get our telecom sector into areas of competitiveness we’ve only theoretically spoke about before. 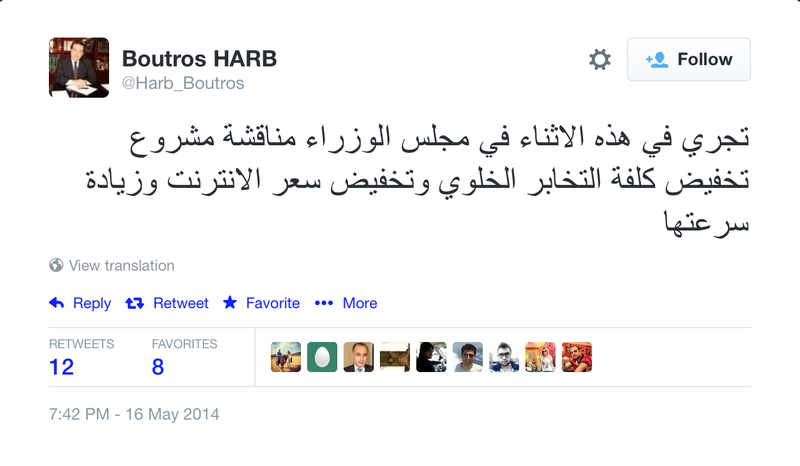 Boutros Harb’s tweet from 7:42PM on May 16th, 2014. Our current DSL is horrifying. While our phones enjoy 3G and 4G speeds, the highest speed an end user with ADSL can get is 2Mbps. Decent packages give you a 20GB quota per month for $50. When that package was first announced, I thought 20GB was huge. Nowadays, however, I think it’s pulling back my internet usage with increasing bandwidth demand across the globe as everything moves to cloud and files grow bigger. If the above plans get approved, we would finally have an unlimited internet plan for the price of what I’m subscribed to right now. Moreover, quotas would be increased substantially and extra usage made even cheaper. Would such plans pass? Well, information out of the current governmental meeting indicate that Gebran Bassil is battling Harb fiercely over the proposal at hand. I get it. Any party would want to take credit for such a voters-grabbing proposal. Another facet of the telecom sector that desperately needed revisiting was our mobile data bundles. Neighboring countries have had bundles superior to ours in quantity for less prices for a very long time. Nicolas Sehnaoui enforced a 50% increase in early 2013 but even those new quotas are nowhere near enough with the increasing need for internet necessitated by current lifestyles and with the introduction of 4G to Lebanese customers. I daresay 1.5GB for $19 is quite a deal and very similar to rates in Europe that I’ve experienced firsthand during my visits there. Internet isn’t the only thing getting a massive update soon, if the proposals are to pass. A minute, currently costing $0.36 on prepaid lines, will be dropped to $0.25. A text message costing $0.09 will be reduced by 45%. The best news, however, is in the fact that the monthly fee of postpaid lines would now involve a set of 60 minutes for free talks, making the $20-something per month fee not completely useless. The need to register phones at the airport or at Alfa/Touch has also been canceled. That alone makes me happy as the entire matter poorly conceived, horribly executed, as well as very limiting to the growth of the mobile phones sector. I wasn’t too keen on Boutros Harb being minister of telecom as he was out of place but he seems to be doing a great job so far so kudos to him. As an end user, however, I couldn’t care less who passes the aforementioned proposals as long as they are passed, and whoever passes them will simply be doing his job. Such a massive overhaul of the Lebanese telecom sector will serve as a stepping stone to further enhance a vital service that could help energize our economy and our footprint across the cyber world. I can’t wait not to panic over downloading my favorite TV shows outside the 11PM-7AM timeslots of free quotas. I am all for the lower rates, but can you please elaborate a bit more about the need to register mobile phones thing? Why is it such a big deal to normal people? If it is a way to make it much harder for illegal black market dealers to operate at the cost of registering your phone when you first come in to Lebanon isn’t it a good thing? I admit, I thought it would be much more horrible at first, but it has not affected me much! I once bought a phone from outside Lebanon and had to register it on the airport, and once bought a phone from a regular Lebanese dealer and did not have to do anything. 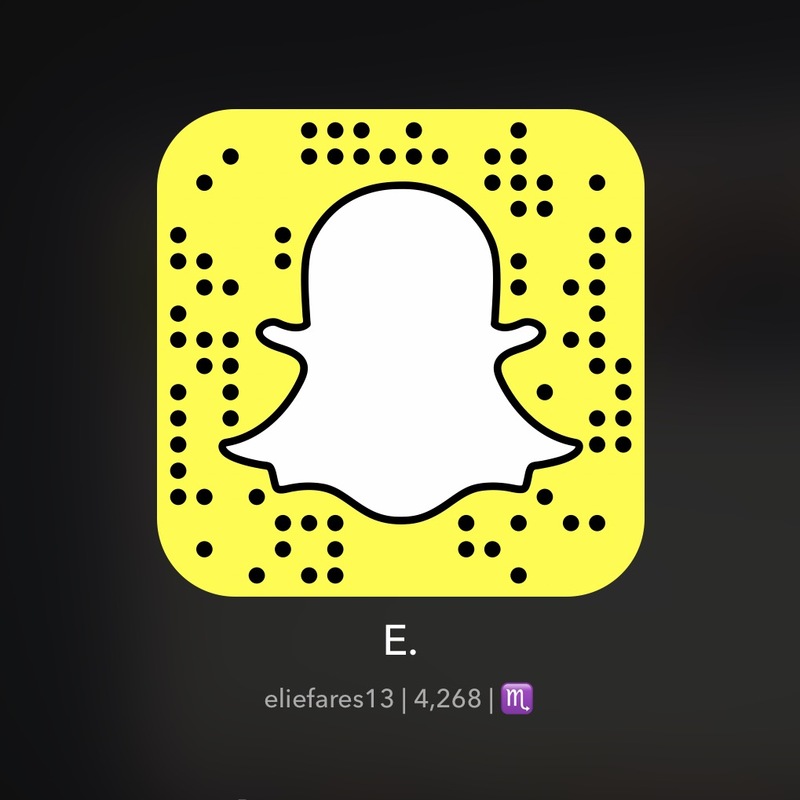 I am genuinely interested in hearing your experience about it. Humm I see… fair enough, it was a hassle for you. But you have to admit your argument boils down to, the man who got me the phone forgot to declare it because he was too old. And he was too old to go with me to the call center to declare it, so I was inconvenienced. Personally I am really torn about this. On one hand I hate inconveniencing all the innocent users because our customs are corrupt. On the other hand it is one of the very few place where anything has been done to slow down corruption and black market… I don’t really know what’s the right way. I am surprised by the objectivity of this article, it’s hard to find bloggers that are not Biased these days. You gave credit where it was due and didn’t overly politicize the issues like most lebanese do, you put it inside its correct political frame. Kudos. Exactly. I don’t see how this can be implemented anytime soon, at least beyond Beirut. They need to HURRY UP with this stuff, the internet in the country is astonishingly shite in all regards (i.e. speed, quotas, prices, reliability, etc.). There needs to be backlash if this minister flipflops on his promises! Hopefully it will happen soon. I don’t really support “unlimited” traffic because it goes against my understanding of basic economics. We just need the internet to be cheap and fast. Your ignorance regarding the matter should immediately be rectified then. What kind of MONSTER would not support unlimited traffic? It’s pretty much the leading standard in most first world countries, and if not that, the cap is relatively HUGE (upwards of 200GB/month) (speed too). I just hope you’re not in any meaningful position of power to have any influence over this. What matters is the DATE when this will be implemented. Was there NOTHING said about WHEN all this will be accomplished?? God Bless Boutros Harb for his immense work and please can somebody hang Gebran Basil who’s trying to stop Lebanon from obtaining fast and affordable internet … he says he is worried that the new communication prices will lower government income by 200 million Dollars…very impressive…and patriotic ! what about a net deficit in probably about more than 4 – 8 Billion Dollars in the electricity ministry he headed for so long … Look who’s talking ! What Change and Reform did he bring ! Stop taking the piss mate. Boutros doesn’t seem to know what the heck he’s doing. His sugar-coated speeches reinforced with uncritical sycophants does little to reassure those who are a little more competent than the 70 year old lawyer-turned-telecom minister. Basically like I said above, his plans are not practical nor realistic, for he needs to improve the infrastructure first and foremost before doing anything else, because the current outdated/broken infrastructure can’t handle faster speeds or more bandwidth for areas beyond Beirut (in fact, it may be even detrimental). This is exactly what Basil/Sahnaoui were trying to focus on by trying to implement fiber optic cables from Cyprus which would have equipped the country with extremely high speeds of internet and even higher bandwidth. While Harb can only decrease the pricing, I doubt he can ever manage to do anything regarding the speed because of the fundemental lack of investment in infrastructure (he abandoned the fiber optics project the moment he came in, instead opting to maintain copper connections (which is the one we have)), so yeah; the most he can do is about the price. Maybe the next set of PMs can do something about it, which I sincerely doubt. Does this apply to sodetel to or just ogero ? ?